As the racing season winds down, we have the opportunity to appreciate some of the inspiring stories this year has provided, and look forward to what we can expect in 2019. This July, we reported on the amateur women’s team that rides the Tour de France, in its entirety, one day ahead of the men. Donnons des elles au vélo J-1 has gained a lot of traction over the 4 years the project has been active, and by encouraging other enthusiastic riders to join them, they have given many women (and men) the chance to prove to themselves that they have what it takes to ride the Tour de France too. Gyl Golden is one of those riders. 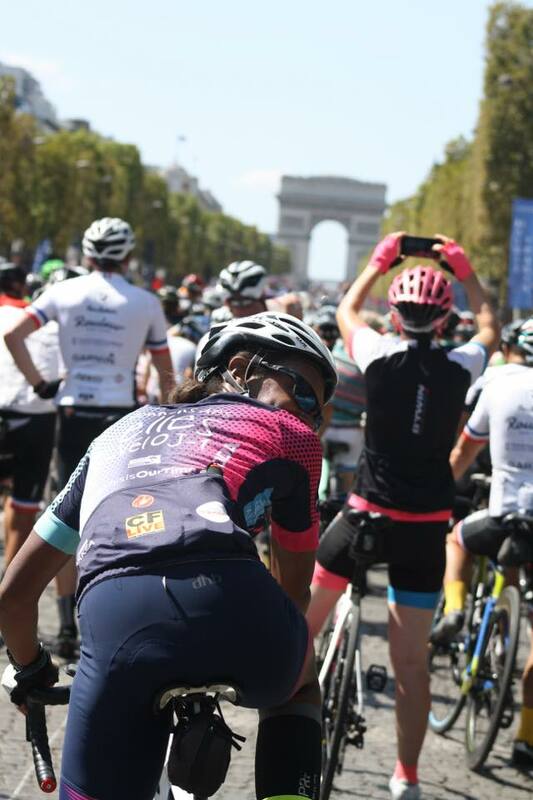 As a way to celebrate her 50th birthday, she rode the whole track with Donnons des elles au vélo this summer, and is now in the process of recruiting her own team to ride the 21 stages beginning in Brussels next year. Two decades ago, Golden abandoned her stable career as an architect to follow her dreams of living a life of travel and adventure. She has now completed several Ironman competitions, founded her own triathlon training company, lived all over the world, and completed the course of the Tour de France. Golden came to cycling through her Ironman training, and although she was initially a bit apprehensive, she knew she’d found something special. Despite any pre-emptive reservations, she explained that, ‘once I got started, I couldn’t stop thinking about it; how to improve, the best gear, discovering beautiful places to ride.’ She fell hard and fast, and as Golden is quick to tell you today, cycling changed her life and allowed her to see the world in a completely different way. Not one to let her inhibitions get in her way, when the team announced it was accepting applications for new members, Golden decided to apply. Donnons des elles had 5 spots open and received hundreds of applications. With so many qualified women looking to join, they were forced to make a very tough decision and Golden was not one of the ones chosen. Yet in her heart, she had already committed. After finding a group of other interested riders on Facebook, she decided she would fund it herself and do it anyway. Golden went on to detail the highlights of the experience, praising the beauty of the Alps and Pyrenees, the satisfactions of completing those 12% pitch climbs, the kindness of strangers, and the friendships forged between spells of sufferance and elation. Adding to all those euphoric sensations, Golden believes these events are capable of inspiring something even more important. As she said, it changed her life and she wants other women to know about her experience and the opportunities available to them. Along with many other dedicated female athletes, she knows that claiming a rightful place in the world of sports is an important step towards achieving gender equality. 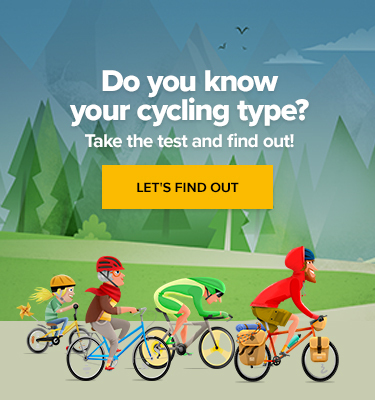 Anyone interested in joining Gyl Golden to ride the course of the 2019 Tour de France can get in touch with her at contact@goldentriathloncoaching.com.